Challenges can arise at anytime for families, especially with special needs children such as those with autism. Readily available resources are imperative. Until recently parents suspecting autism and needing assistance in diagnosis, treatment and other essential information were forced to travel to Atlanta. Families in Fannin, Gilmer, and Union counties now have another option closer to home. 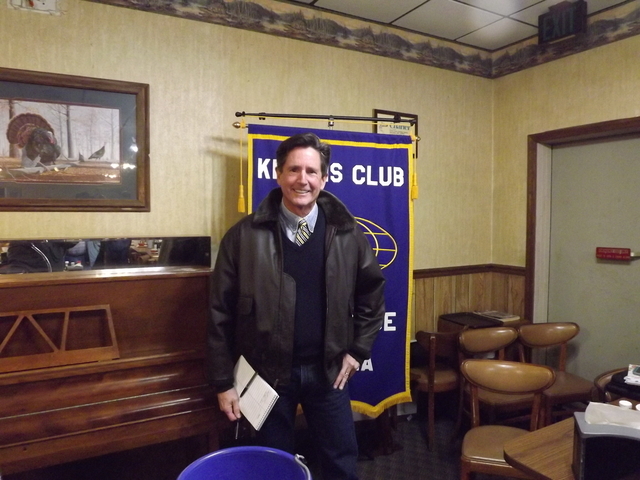 North Georgia Autism Foundation (NGAF) CEO Tripp Ritchie was the guest speaker at a recent Kiwanis meeting to inform members of this new program. A former Kiwanian, he expressed how his time in Kiwanis was an inspiration in helping him see how great a need there was for a local program such as NGAF. NGAF programs not only support families in diagnosing a child, but also in assisting both child and family members with facing challenges of living with “Autism Spectrum Disorder” (ASD) and other Developmental Disorders throughout their lives. One in 59 children is affected with autism. One in 38 affected is boys. By age three, a diagnosis can help change these children’s lives. It is important to have a diagnosis before a child reaches age three to help with directing a pathway of success in later years. Ninety percent of brain development is before age six. Eleven children from Fannin County are currently diagnosed with autism and are receiving treatment. They are enrolled in a local school. From placing an application to diagnosis and on to a treatment plan usually takes 24 months. He hopes to bring this number down. Since the inception of NGAF, the program has been gaining momentum and currently serves 27 families. NGAF is removing barriers, increasing access to early clinical diagnosis, and providing treatment services. Treatment programs are individualized which fills a gap in services not available in the North Georgia Mountain area a few short months ago. NGAF offers diagnosis and treatment options at no cost to individuals and families. Donations for NGAF can be sent to North Georgia Autism Foundation, 11 Overview Dr. Suite 203, Blue Ridge, GA 30513. Ritchie can be reached by email at Tripp.Ritchie@ngafinc.org, Facebook page https://www.facebook.com/pg/NorthGeorgiaAutismFoundation/ or call 1-706-455-5183 for more information on services offered for individuals with autism.